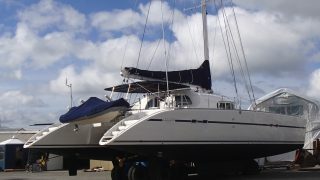 Sumore II is a Lagoon 570 designed by Marc Van Peteghem and Vincent Lauriot Prévost at a time when the brand was focussed on classic ocean cruising catamarans, with a great balance between performance and comfort. 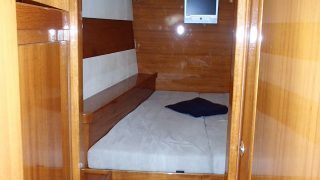 The build quality and finish of this vintage of production catamaran is to a standard that simply would not be affordable today. 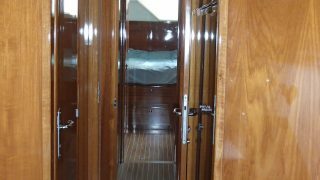 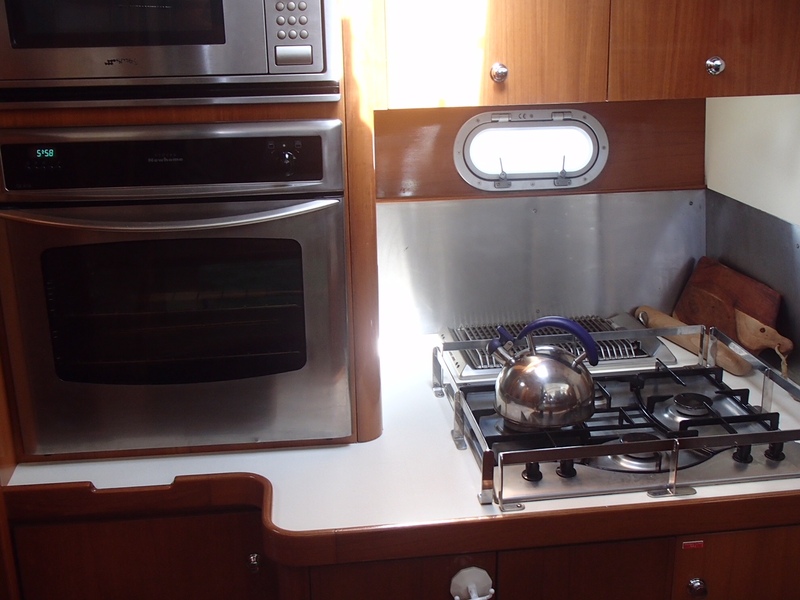 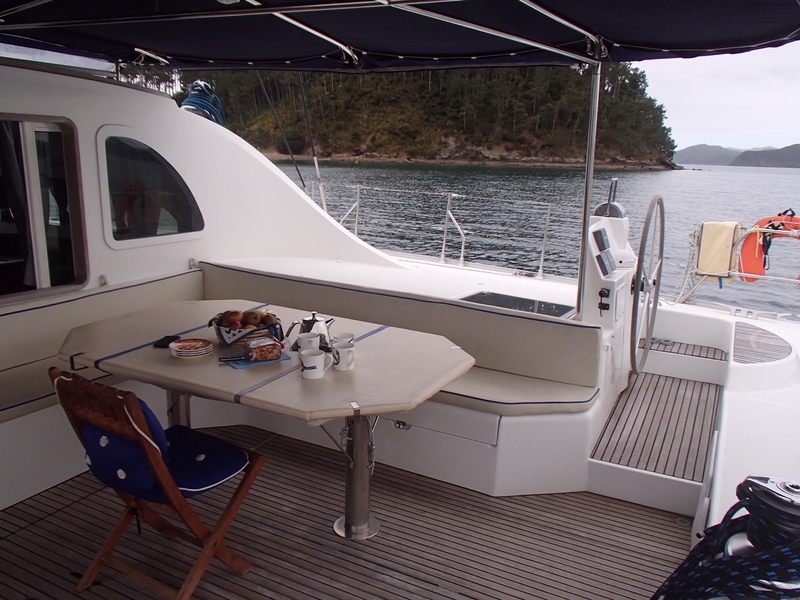 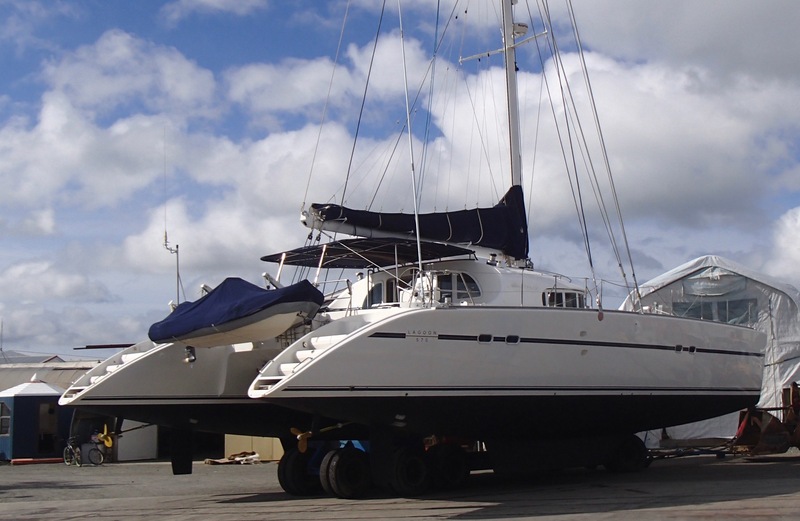 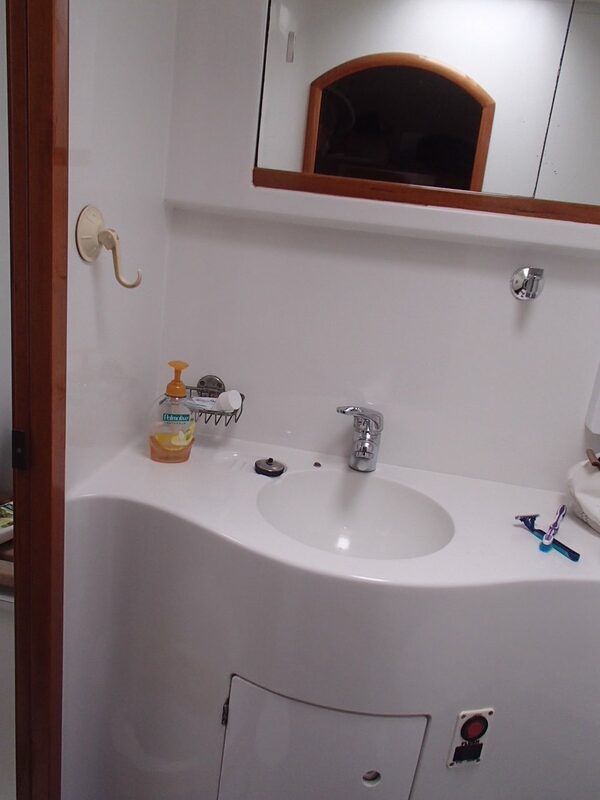 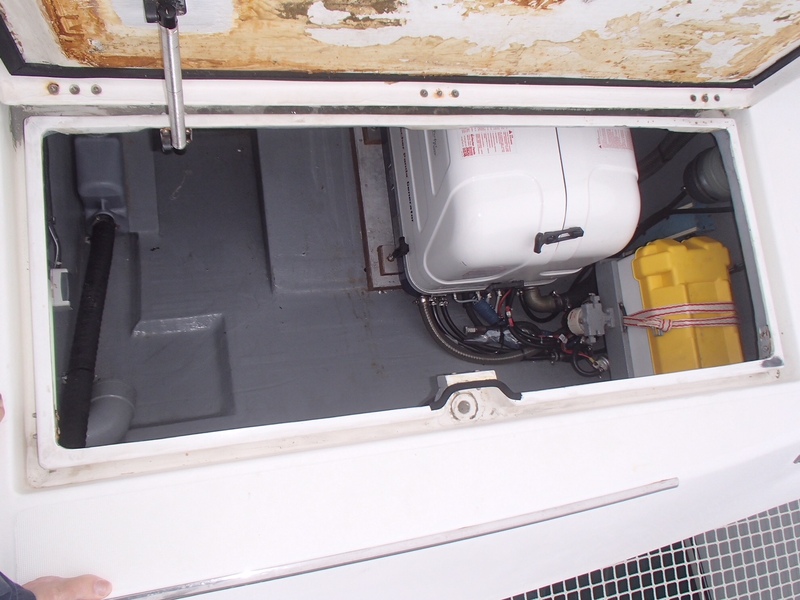 The owner searched the market to find an ocean going catamaran suitable for a circumnavigation, and unable to find anything that was as well built as Sumore II, he decided that it would be much better to refit his existing boat. 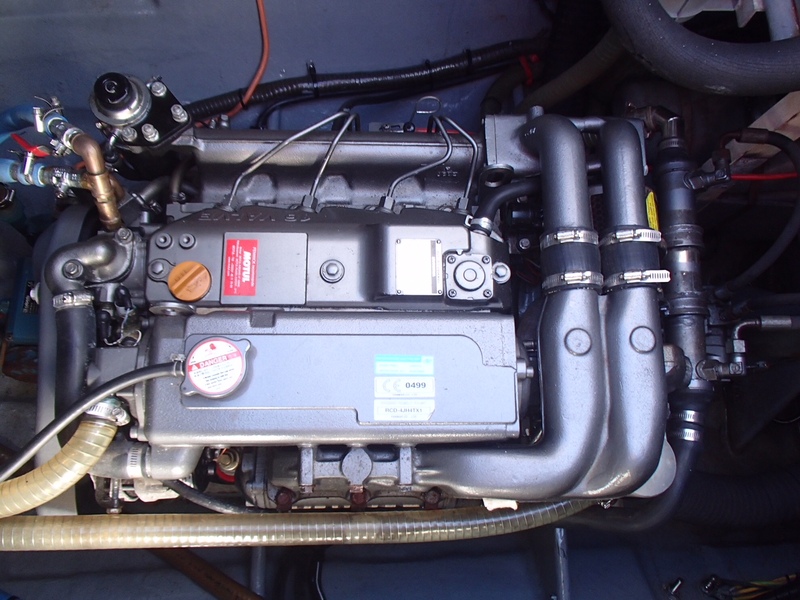 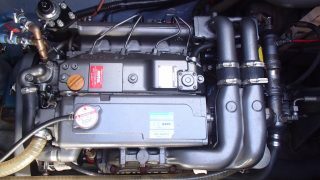 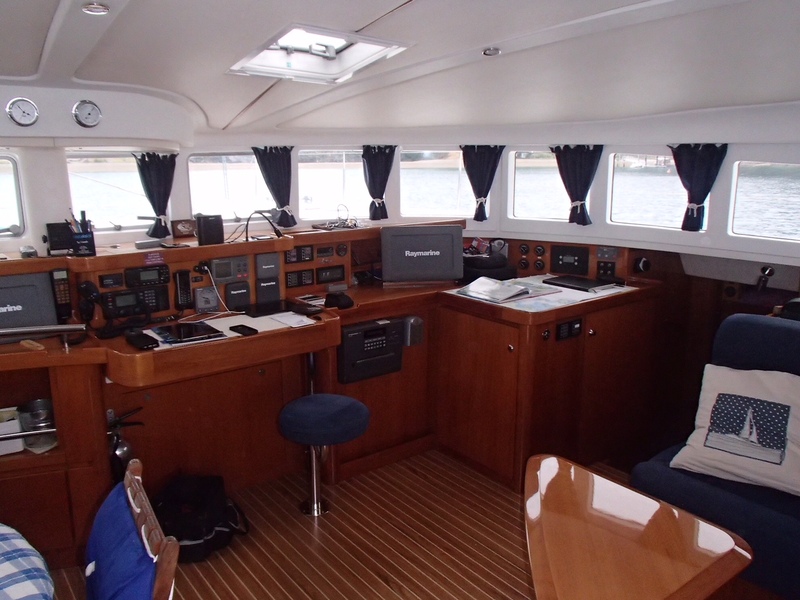 The result is that effectively Sumore II has now been restored with all new equipment but retaining the build quality, hand built interior and workmanship of the original CNB build. 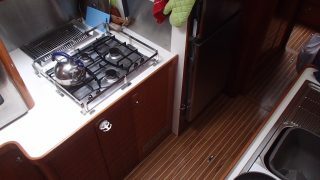 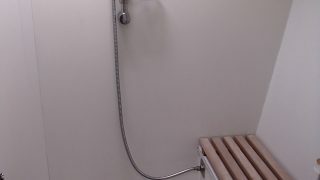 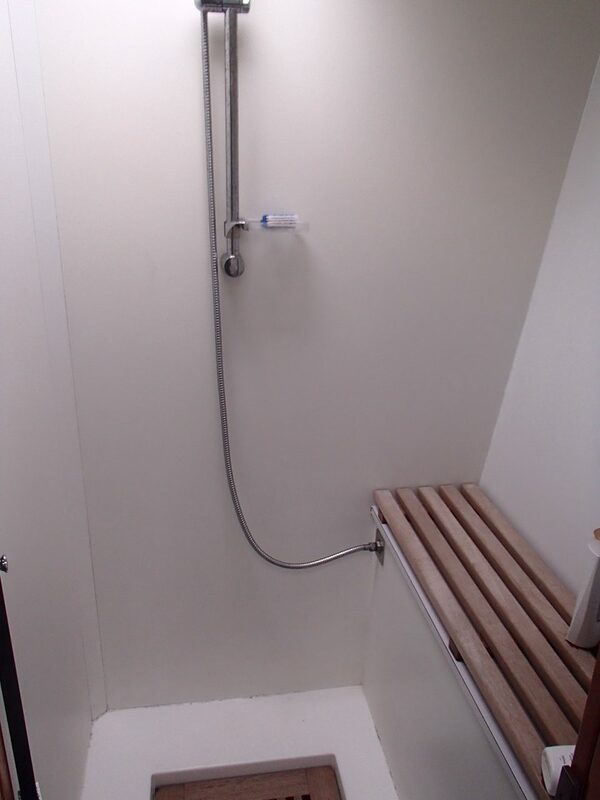 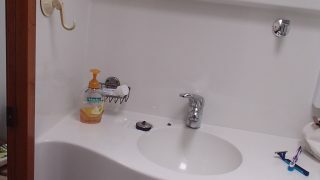 The cost of the refit carried out in Canet en Roussillon, France was in excess of 185,000 euros. 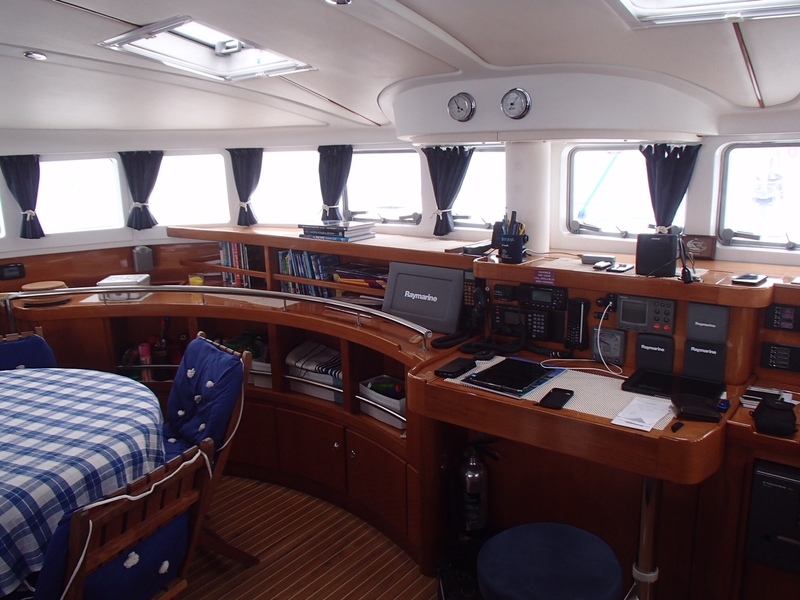 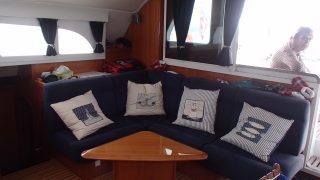 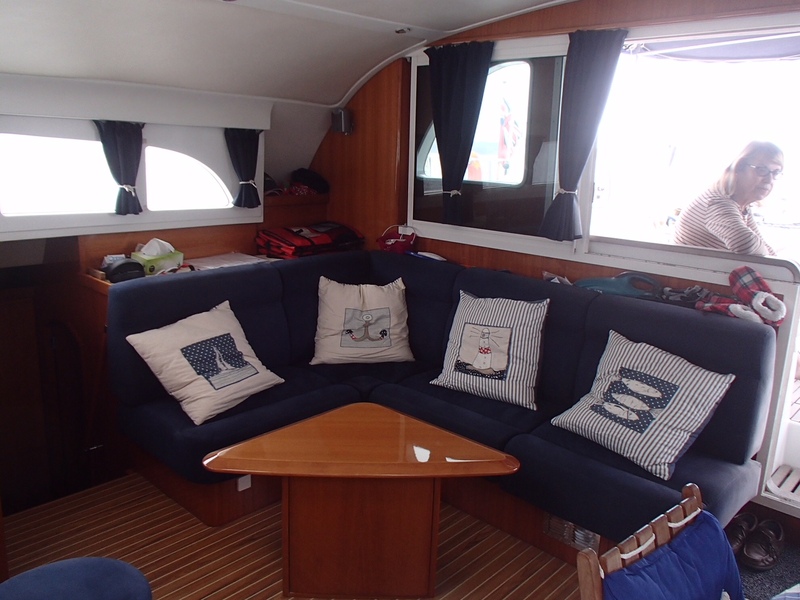 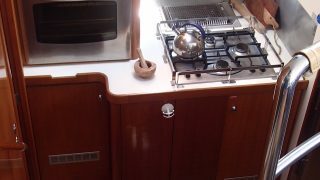 This four-cabin version with galley down in the port hull has been through a major refit in 2016 replacing virtually all essential items: engines, sails, standing rigging, gen set, batteries, charger, solar, watermaker and more. 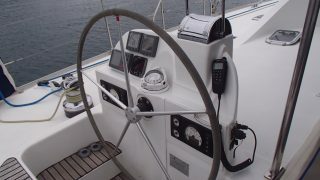 Her cockpit features twin helm stations positioned aft and outboard, but still protected from the elements. 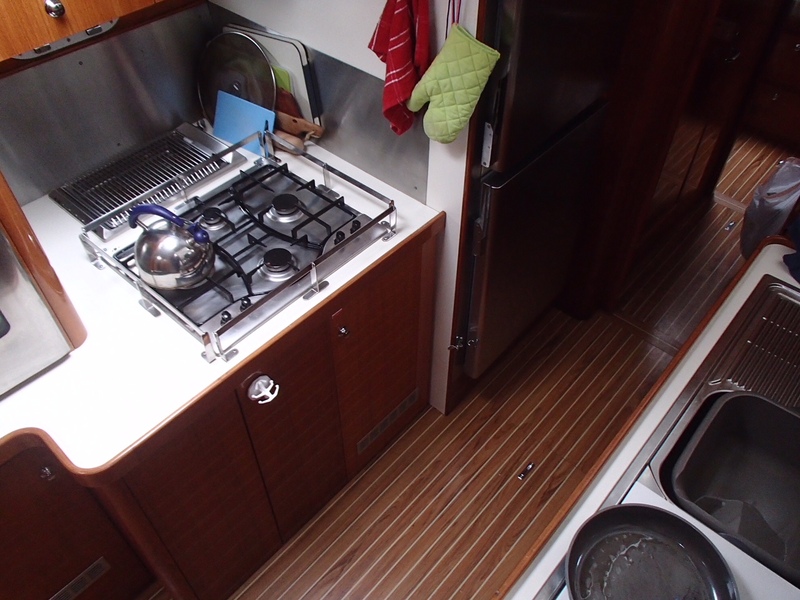 Teak floors add to the luxurious feel. 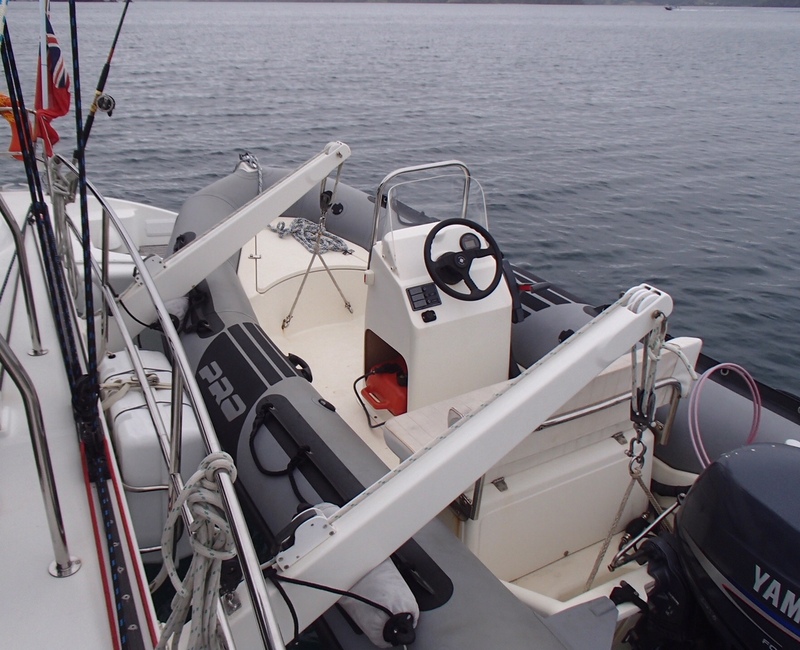 The Lagoon 570 features long, slick hulls for added performance as opposed to the very wide hulls on the newer models. 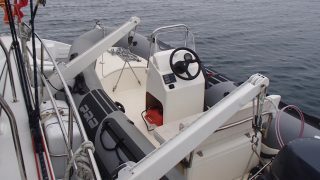 Built by CNB, leaders in composite material manufacturing, the 570 hulls are made of multidirectional fibreglass fabric, with carbon fibre reinforcement in high-load and stress areas. 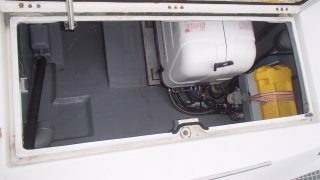 The hulls are balsa-core and are vacuum-bagged laminate, with vinylester resin used throughout the construction process. 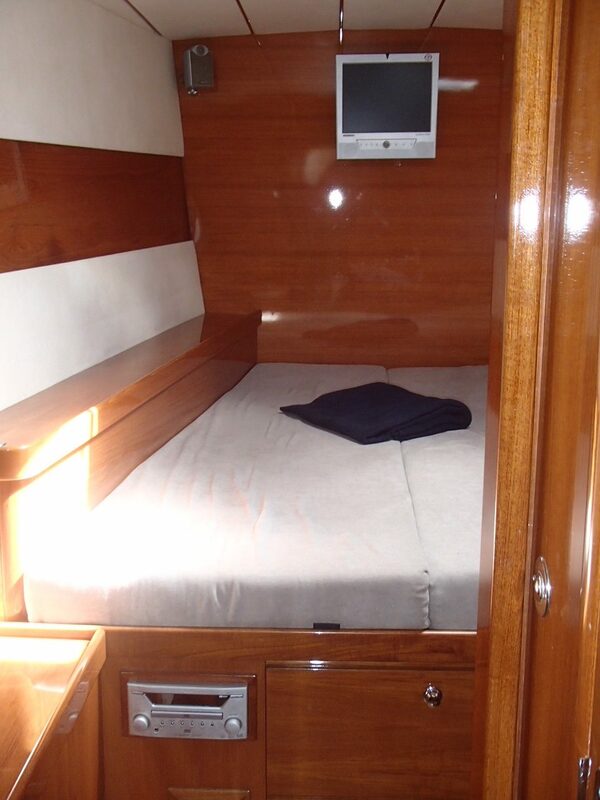 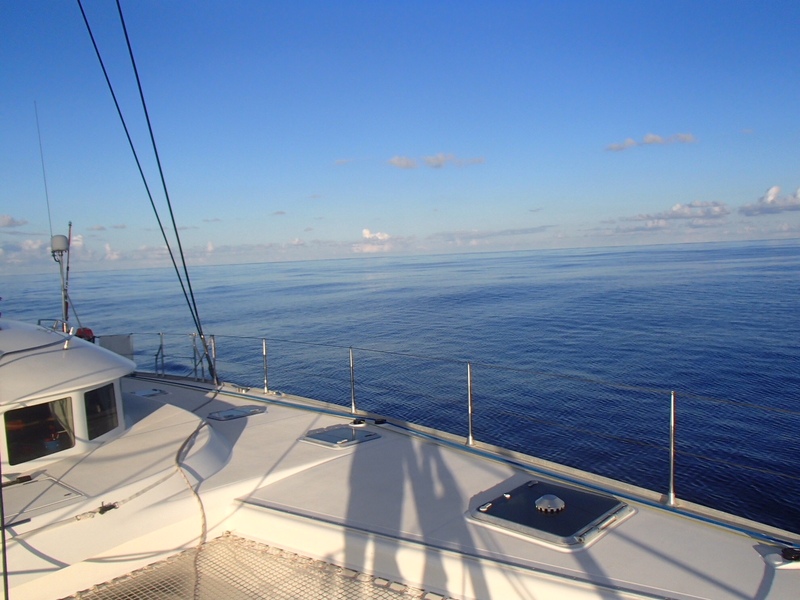 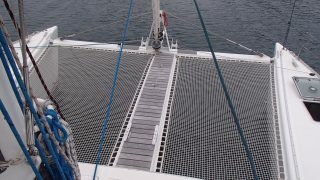 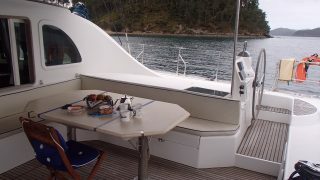 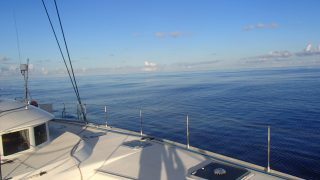 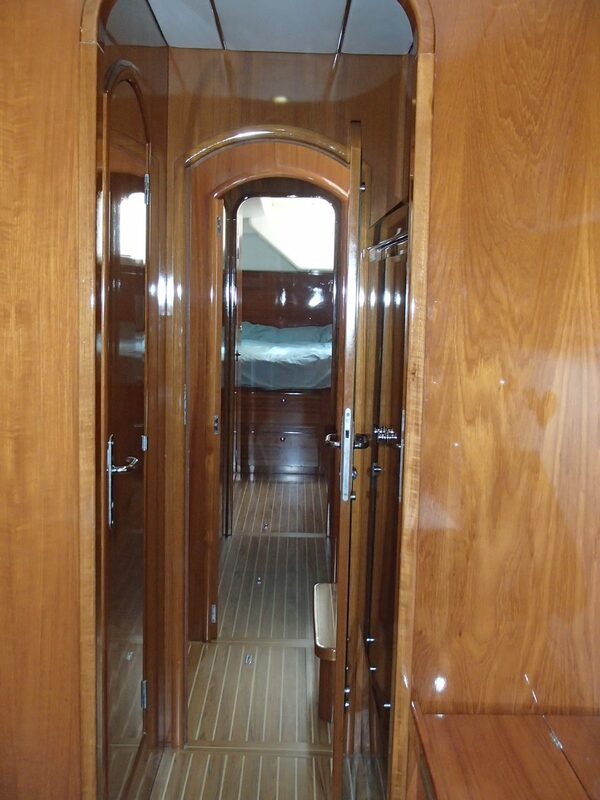 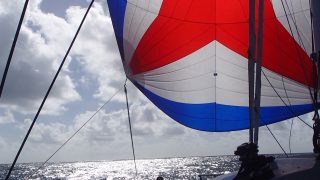 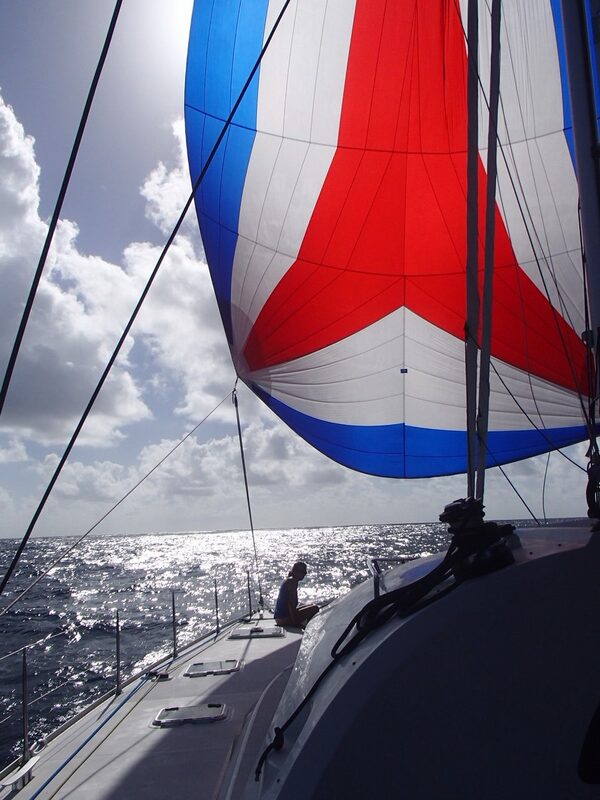 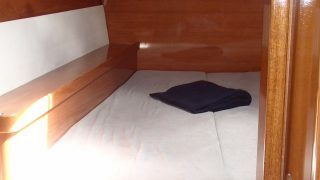 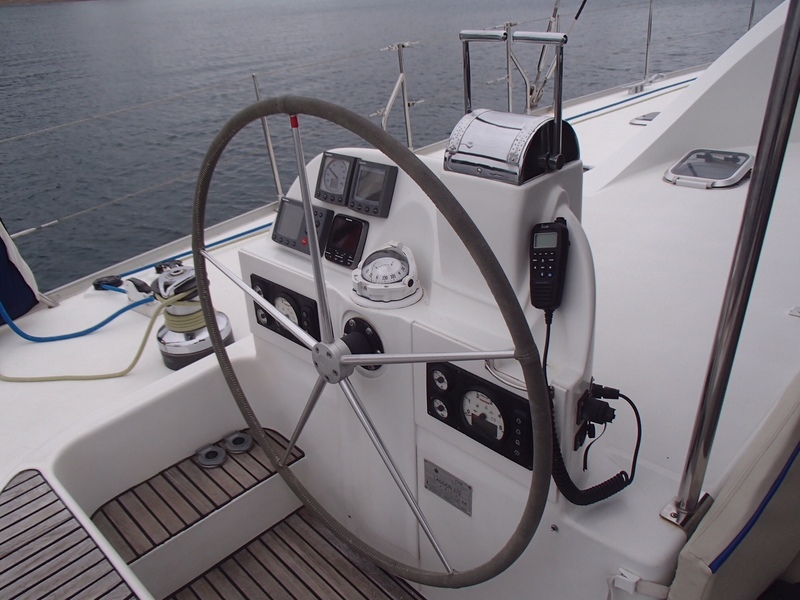 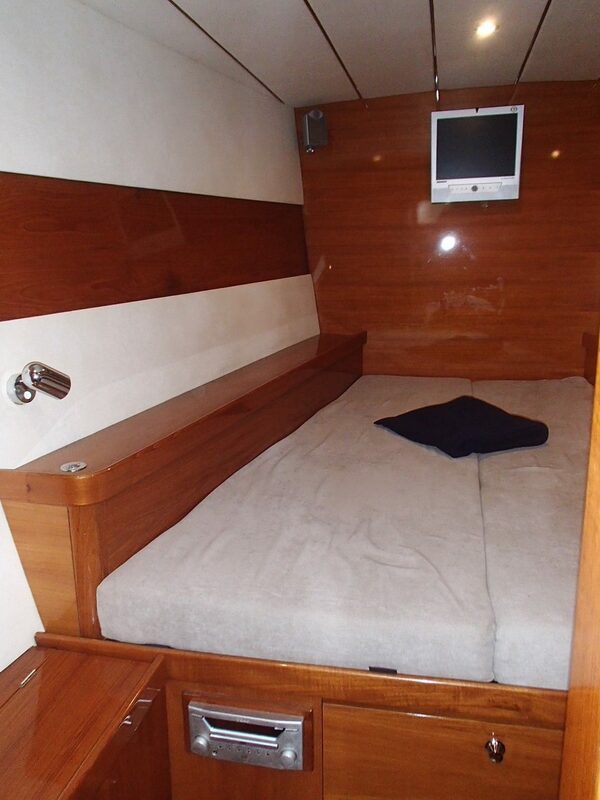 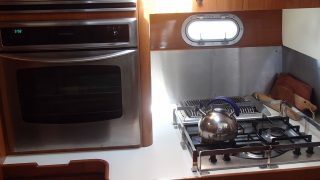 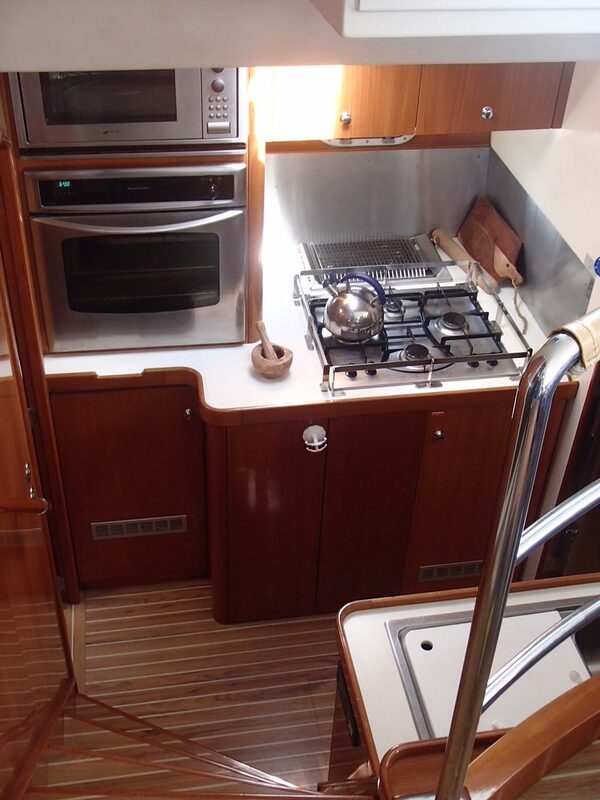 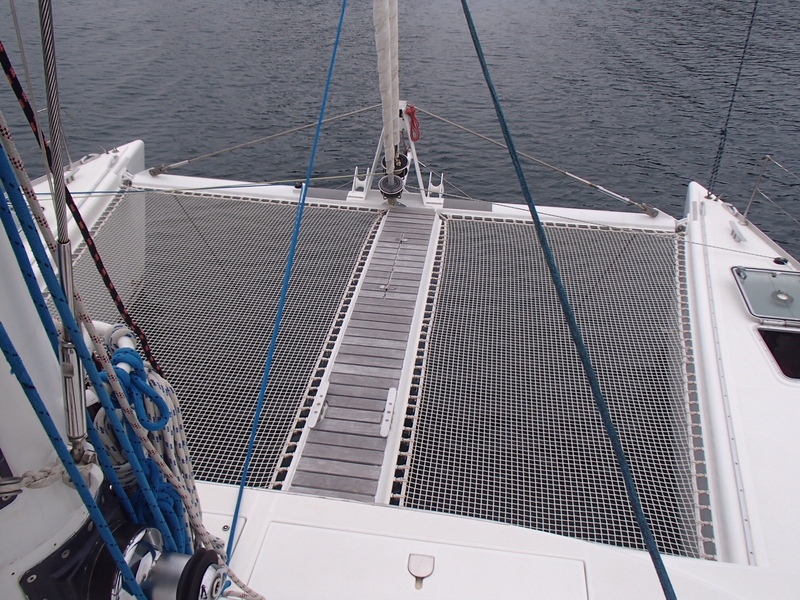 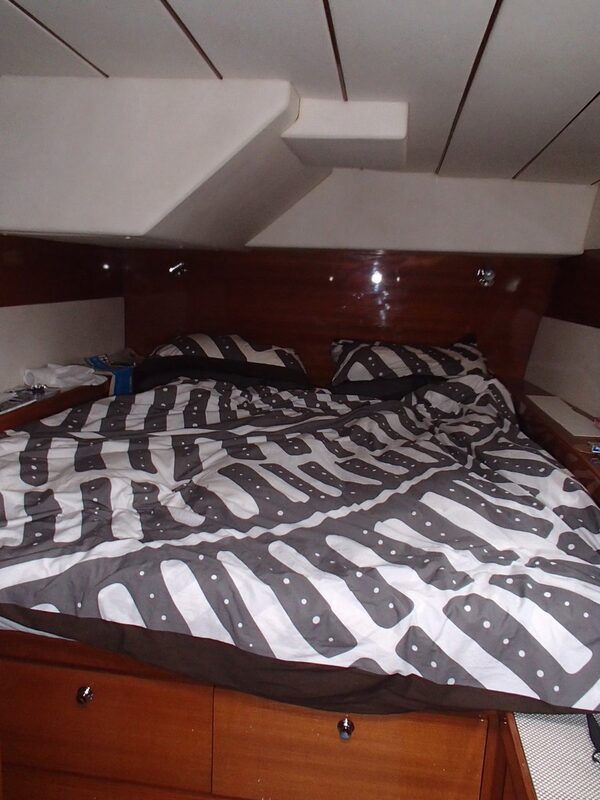 This is a very well built sailing catamaran, offering peace of mind for world cruising. 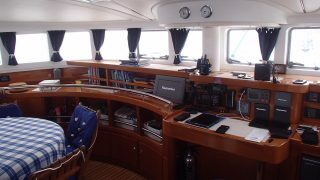 Sumore II is unusual in that she was originally built in 2003 to a very high specification for a renowned Italian owner who only used the boat for three weeks. 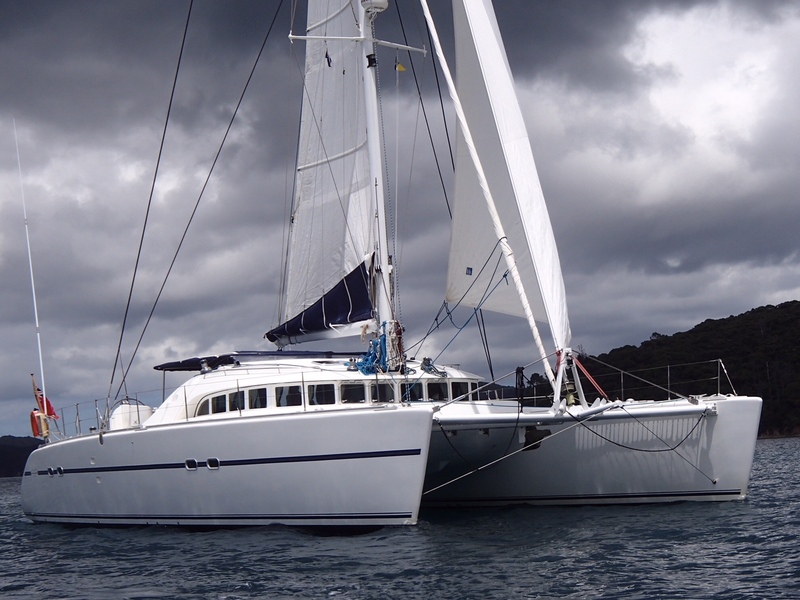 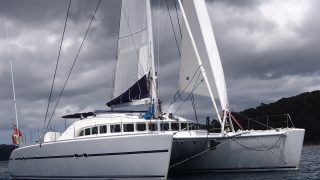 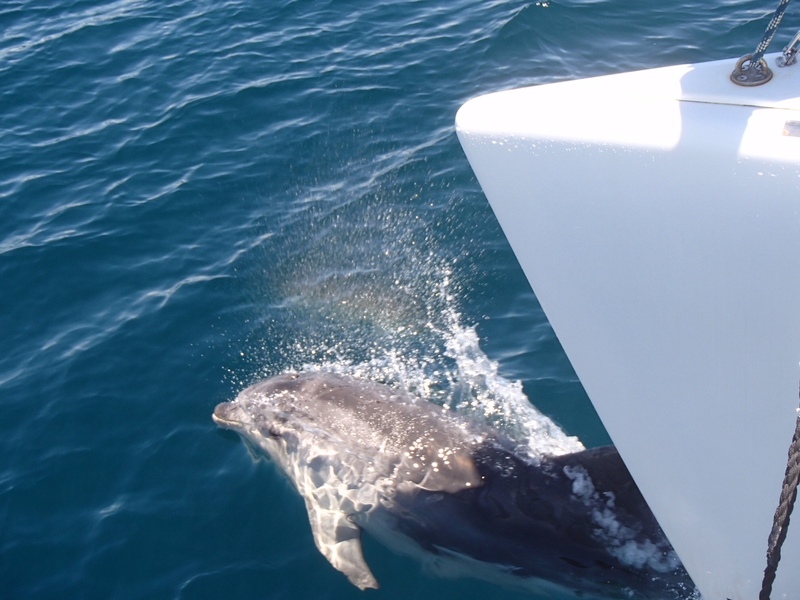 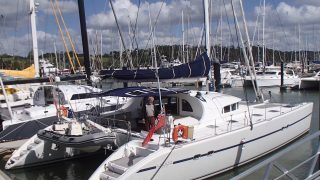 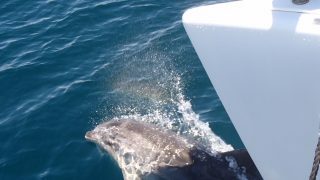 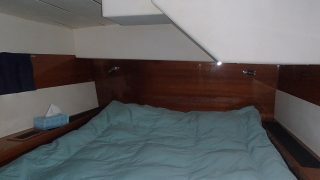 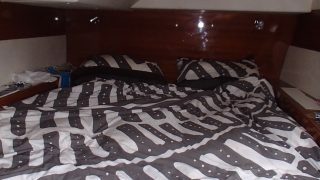 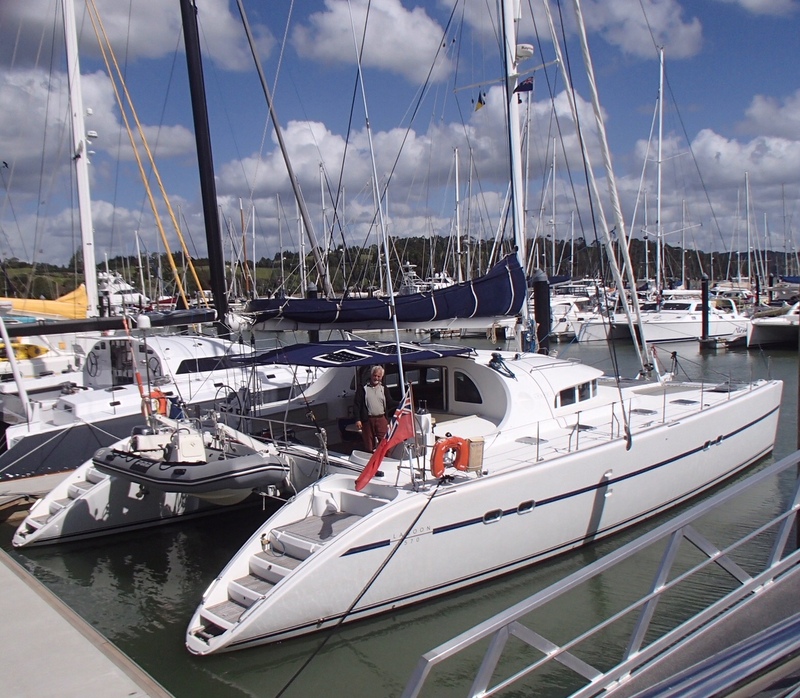 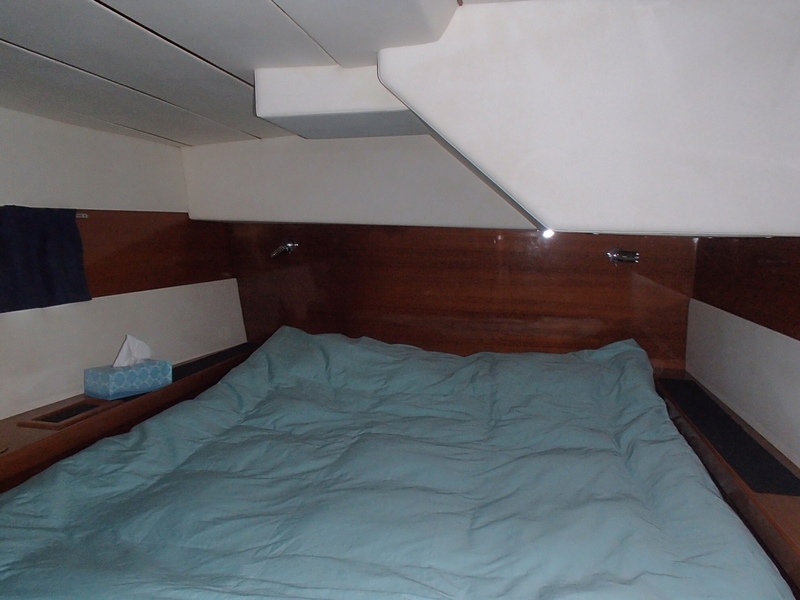 She was then laid up until the end of 2005 when she was purchased by the current UK owner who has maintained and restored the catamaran as a thoroughbred ocean cruiser. 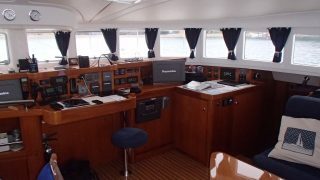 Sumore II has never been chartered. 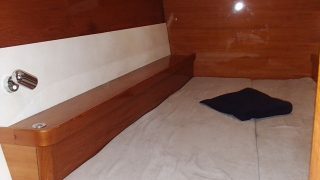 Don’t miss this opportunity to acquire an extremely capable and reliable classic ocean cruising catamaran, which has been very extensively restored, for a fraction of today’s build cost. 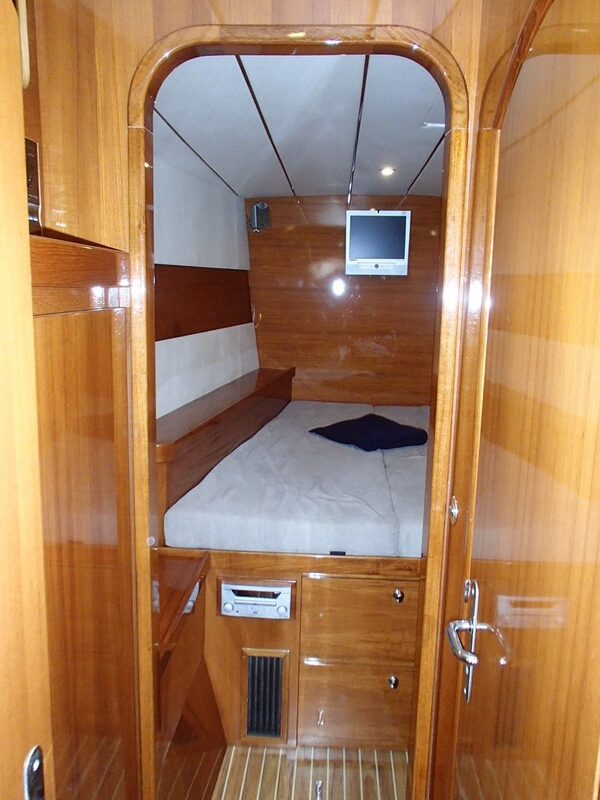 Please call now for more details.